The mission of the Friends of the Lovington Public Library is to support the continued growth and success of the Lovington Public Library through advocacy, volunteer-ism and fund raising. 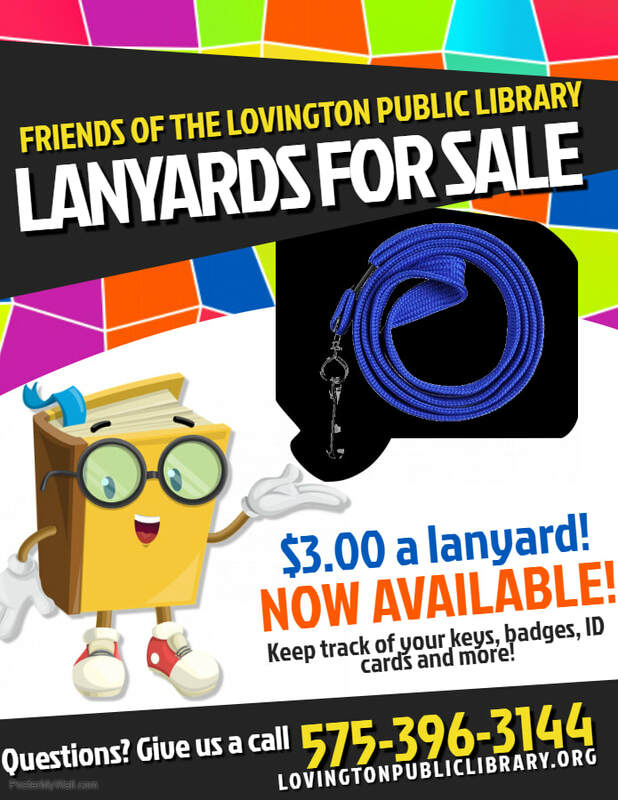 The Lovington Friends is a non-profit corporation made of volunteers dedicated to the continued growth and success of our library. By Having annual fund raisers, they raise money to purchase books, equipment, posters and summer reading supplies for the library. When the library hosts programs, the friends volunteers sponsor the library with treats, prizes and manpower. Money donated to the Friends of the Lovington Public Library is used for library programs, activities, materials beyond the library's budgeted, and basic services. If you would like to become a member or would like more information about our friends group come by the Lovington Public Library or call us at (575)-396-3144. Third Tuesday of every month @ 5:00 p.m.
at the Lovington Public Library.